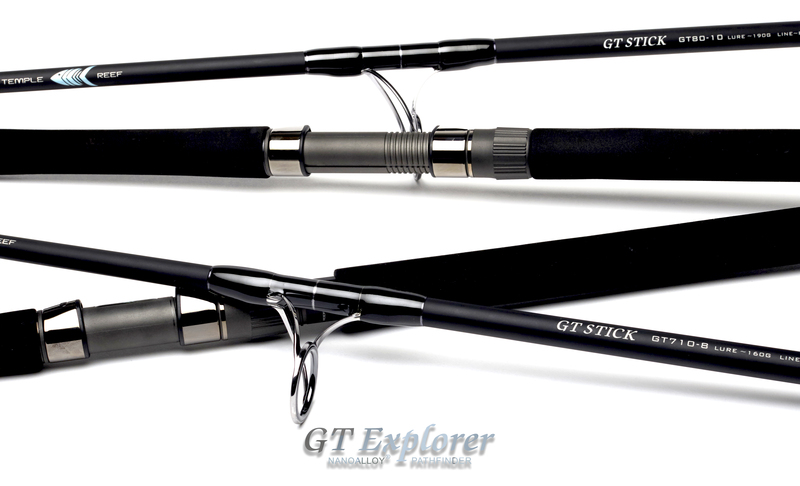 Series of 3 GT rods designed for working poppers effectively. Extra fast action from PE8-12. Low weight to power ratio between 375 to 395g. 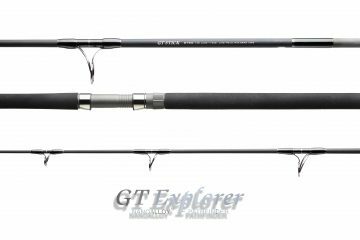 GT Explorer Series are high modulus carbon rods, they are ultra-lightweight that will allow anglers to cast all day. This model is most suitable for users who prefer stiffer rods for working poppers effectively. 710-8 Oceanus –Beginners and advance users alike will love this rod for its sensitivity and responsiveness. We name this rod “Oceanus” because this is the rod we use when exploring uncharted territory which will require constant casting, this lightweight setup minimize fatigue and is capable of dealing with a wide range of fishing conditions and fish size. 80-10 Pathfinder –Pathfinder is best suited for casting long barrier reefs. This rod is optimized to cast lures long and accurately which is the most important aspect when casting along barrier reefs and boat needs to be at a distance away from the reef for safety reasons; lures need to land in the white-water zone at the edge of the reefs where GTs prey for disoriented baitfish. 710-12 Widow Maker –Widow maker is designed to apply maximum load when fighting fish and yet lightweight, easy casting and responsive. Best used in shallow and heavy reef terrain that requires the angler to be on top of the fish constantly.